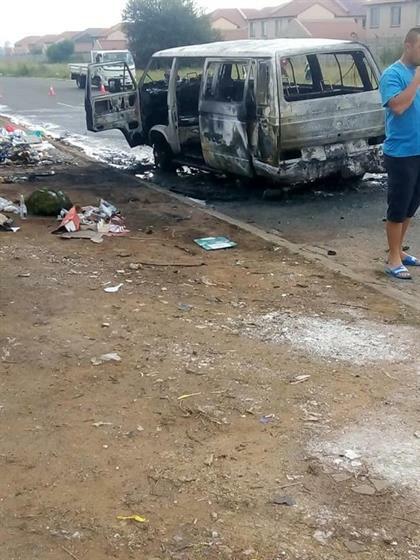 A taxi taking kids to school in Vanderbijlpark caught fire yesterday. DOZENS of pupils were packed in a taxi on their way to school. Little did they know they would not make it to their destination. 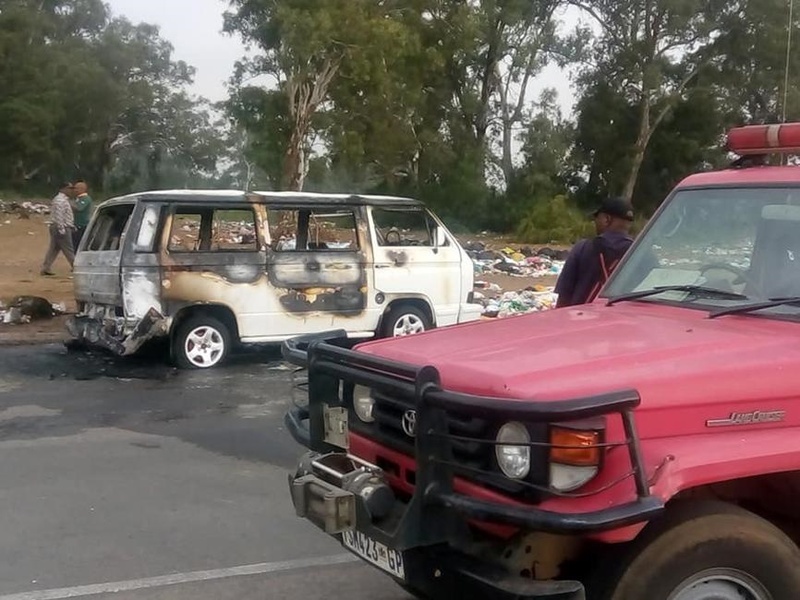 The taxi taking pupils from Sebokeng to Oliver Lodge Primary School in Vanderbijlpark, in the Vaal caught fire on Monday morning. About 15 children were rescued from the burning taxi. “Luckily, none of the kids were hurt. It was a miracle escape,” said a witness. Photos of the burnt taxi sent social media into a buzz. Sia Bonga Tshazi wrote: “Some of these taxis are not roadworthy and they overload kids.